New spot illustrations for Billboard magazine — the minds behind the new Showtime show Kidding (starring Jim Carrey) talk about how they created the show. The printed illo size is tiny — just under an inch each — so I made sure that the linework was clear and the colours fairly flat so they would reproduce well in the mag. 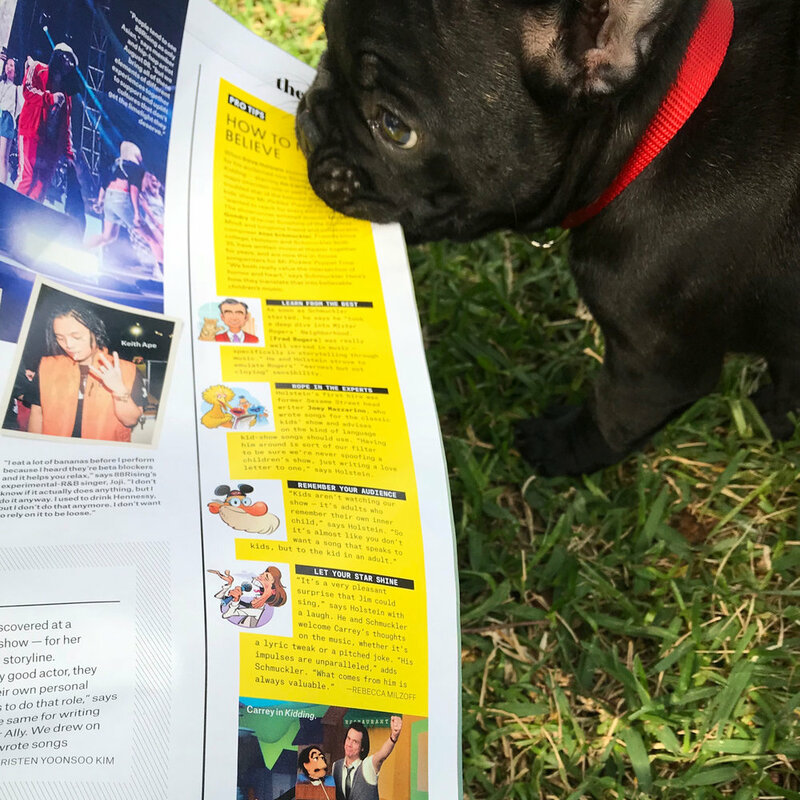 And my new puppy enjoying them in print!